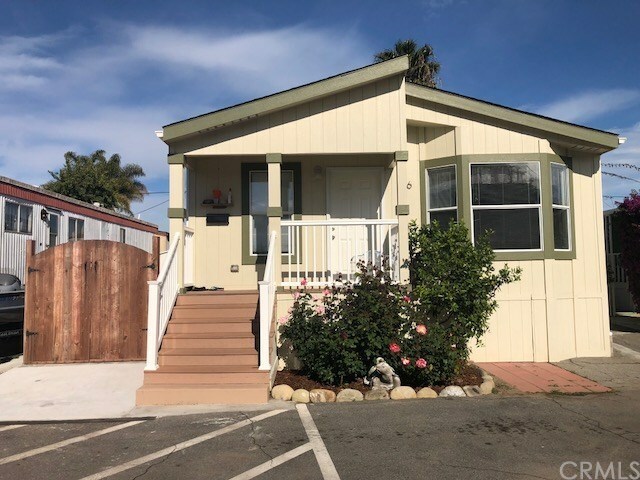 Affordable Newer Manufactured Home in the Sea Breeze Mobile Home Park in Carpinteria. This mobile home features an open floor plan with 3 bedroom, 2 bath, 1,296 sq.,ft., built in 2012. Home is nicely appointed with vaulted ceilings, oak cabinets, tile countertops, laminate flooring, laundry room inside, outdoor living, 2 parking spaces, situated across from the club house, walking distance to shopping, restaurants, minutes from the beach and easy access to HWY 101. You can own this nicely appointed mobile home with as low as 5% down payment.